Culture, in general, has always been a very dear value to the Empire since its inception. Many organizations in Karnia-Ruthenia, such as the Academy of Heraldry or the Imperial and Royal Military Academy, were put forward as essays for the education of some teaching sector: heraldry and military knowledge, respectively. But education, by itself, has never been exploited until then. Between December 2018 and March 2019, the founding of an institute for teaching and research was widely debated between His Imperial and Royal Majesty, the Emperor-King, the Prince Karácsony-Maryen and the Duke of Daugavia. The Emperor sought to create a reference center for the publication of articles on micropatriology; the Prince wanted to incorporate external knowledge and activities to be disseminated in the micronational milieu and the Duke hoped to develop courses on various sectors for micronational life. Together, they found a solution. The Imperial and Royal Academy of Geographical and Social Studies, or IRAGSS, was founded by the Imperial and Royal Decree n. 171-2O19, on 24 March 2O19. 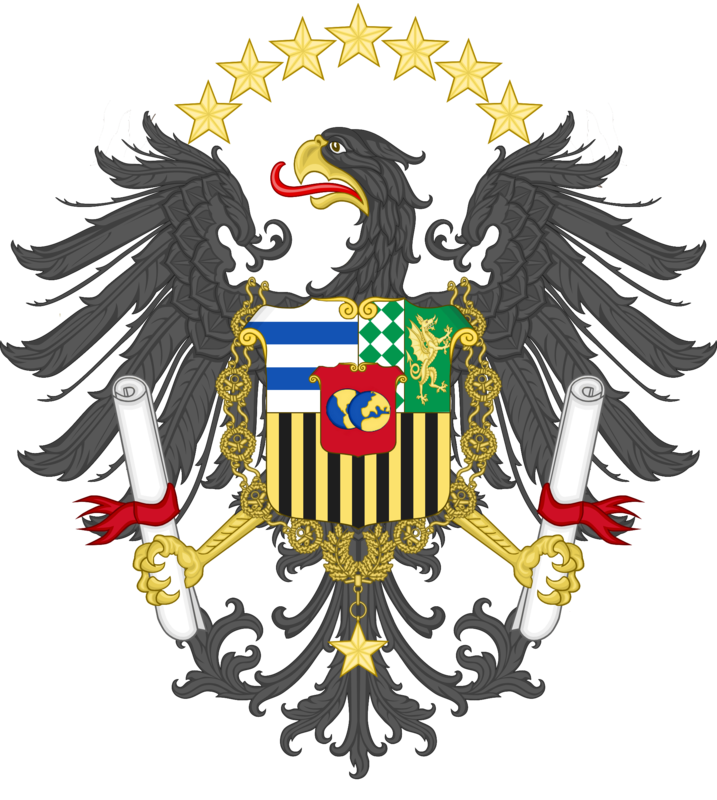 Two days later, the other idealizers were made joint chancellors of the Academy, through Imperial and Royal Decree n. 172-2O19, although its indications still to be approved by the Minister of Culture, His Highness, the Duke of Lamburg. More than creating an institute and indicating its governance, guidelines have been established for education in the Empire. Under the law, education is subdivided into Basic Education (offered by the educational institutions of the macronations of which the citizen belongs), Medium Education ( given through the proposed tutoring programs as an introdution to micronationalism) and Superior Education (written articles approved by examining board organized by the Academy on Micronational and Karno-Ruthenian history). Perhaps a timid step if we think of education as a universal and multifaceted value. On the other hand, an unprecedented effort to transmit the know-how and cultural breadth of an internationally acclaimed micronation for its cultural development to micronationalists around the world. Perhaps a modest exchange is offered: the enrichment of micronationalism by a diploma.